Anika's first trip to the zoo was an exciting one. 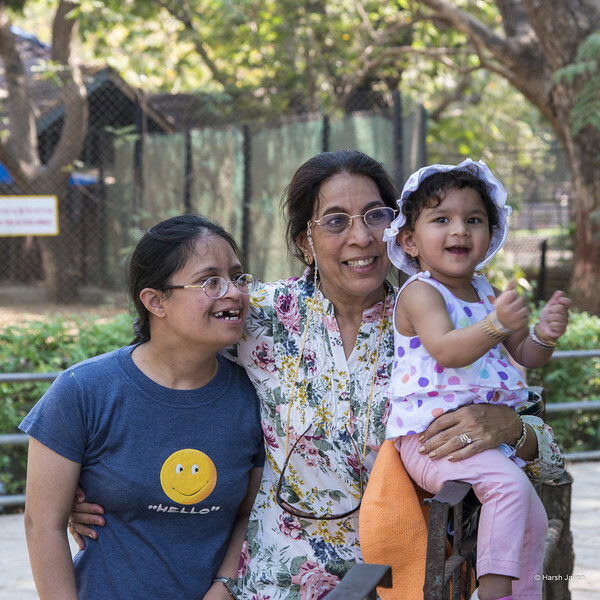 The whole family went with her to Jijamata Udyan - Ranibaug (Mumbai Zoo). Sitting in her pram, Anika squealed and clapped as she watched elephants, monkeys, Emu, bear, deer and some other animals. Recognising some of the animals from her storybooks, she was keen to rattle off how the elephant had big ears, how the monkey "hoop hoops" and how the bear eats honey. The emu, however, became her favourite animal from the trip. Having a thoroughly fun time at the zoo, Anika even showered her affection on an unassuming boy. What can we say? An hour in the zoo and Anika discovered her wild side!